Stella McCartney is fashion's biggest animal rights activists, so you know that whenever she makes anything out of an animal by-product, it's bound to have a heartwarming story attached to it. 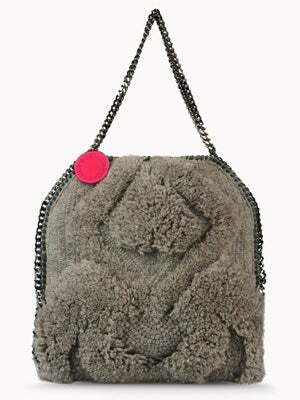 Case in point: Her new Falabella bag, the Itsy Bitsy, is made from sheep's wool that's been shorn in a sustainable, ethical manner. How do we know? Itsy and Bitsy are McCartney's two pet sheep that she keeps on her farm in the English countryside. That's a warm fuzzy if we've ever heard of one... Check out the tote exclusively online at StellaMcCartney.com.